So last weekend was pretty busy for us. Big sis had her first track meet of the season, and so it would also be a big test for "Bug" (one of the few nicknames for Dinah). The meet was a jamboree so nothing official. I have to say that I am very proud of my "Big Bug". 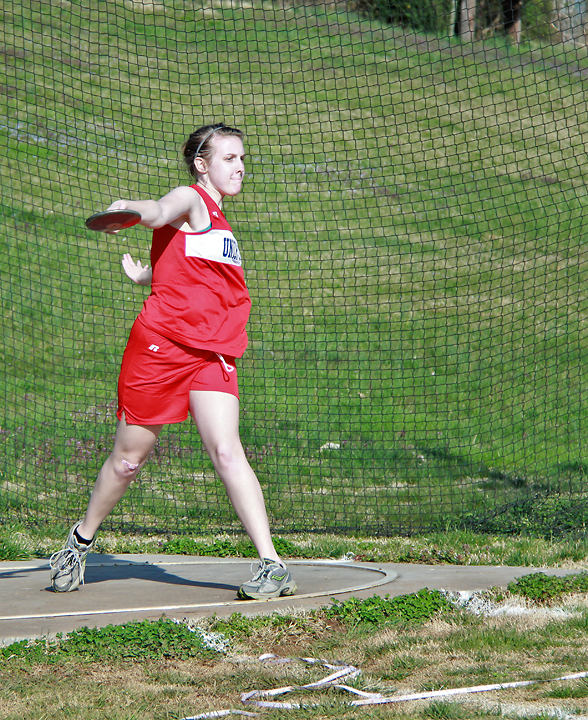 She threw the discus for the first time for a whopping 43'9". 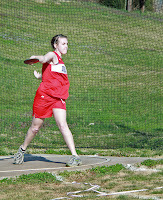 She also did the long jump and the 800m run, she did those events last year as well. As for Bug well, she didn't take to well to the meet business. Actually, she didn't take to well to being out and about much at all. 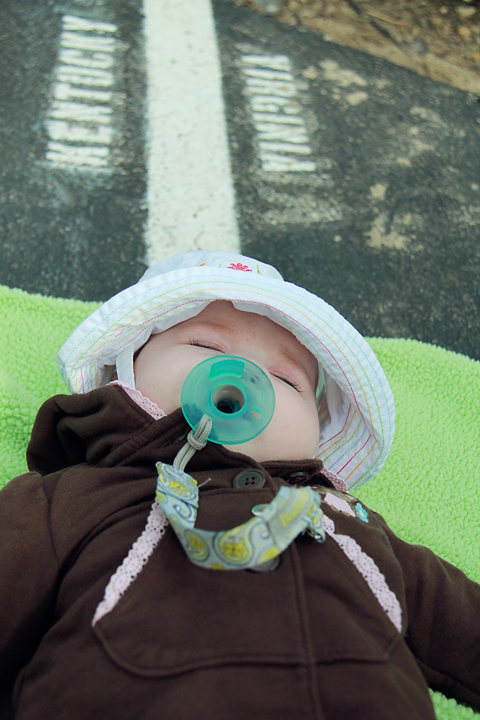 It was still a bit cool and there was a pretty good breeze blowing and Bug doesn't much care for big breezes. So Robin and Bug ended up spending much of the time stuck in the car where Bug was more apt to be pleasant. 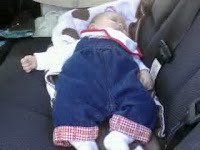 At one point she had finally taken up the whole back seat, forcing Robin to sit up front in the drivers seat completely bored out of her mind while little bit napped the day away. On Sunday, we had originally planned to head to the Great Smoky Mountains so that we could hike the Laurel Falls trail, a 1 mile paved trail to Laurel Falls. In all actuality, the Laurel Falls trail is more like 3.1 miles to it's terminus but it is paved up to the waterfall. 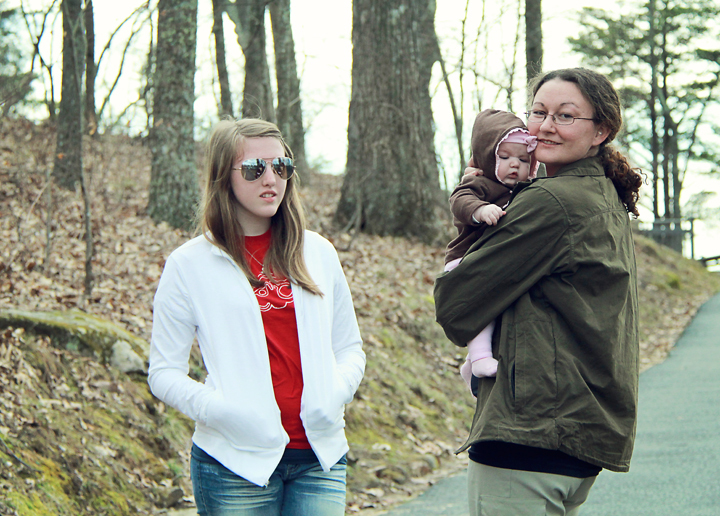 We thought it would be a good trail being that it's paved and we could push Bug's stroller along the trail. Of course Dinah isn't keen on being in her car seat except for when she's asleep, so we also have an Infantino Baby Carrier ("The Torture Device") which Dinah tolerates more than the car seat but still not all that well. Considering our experience at the track meet, instead of the Smokies, we opted to head to Cumberland Gap NHP. 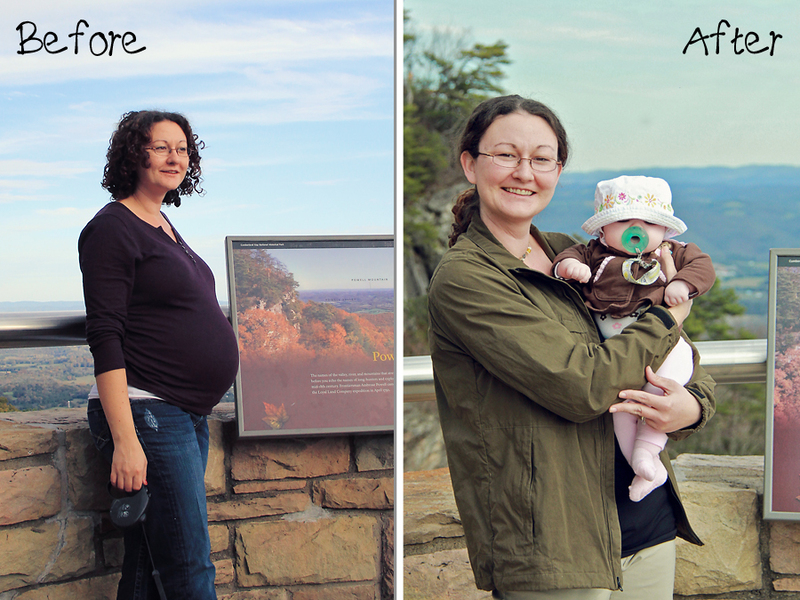 Robin decided it would be a shorter, more manageable stroll to the Pinnacle Overlook than the hike up to Laurel Falls. Besides we had taken pictures of Robin with Bug still in the womb up at the Overlook just a couple weeks prior to her delivery, and figured it would be cool to get new pictures of Robin and Dinah at the overlook now that she was here. The trails at the Pinnacle Overlook are paved and cover a total of a quarter mile or so. There's also one trail off the paved trail to the overlook that is a typical East Tennessee hiking trail. We head out first thing to the overlook, of course that was after dealing with a blowout of stinky proportions. While there, Robin fed Dinah her bobble and we gazed out into the Powell Valley. I snapped a few pics and we talked with a few fellows from Ghana whom we learned had been performing the night before in Pineville, KY. They were curious as to what to do if they came across a black bear while in the park. 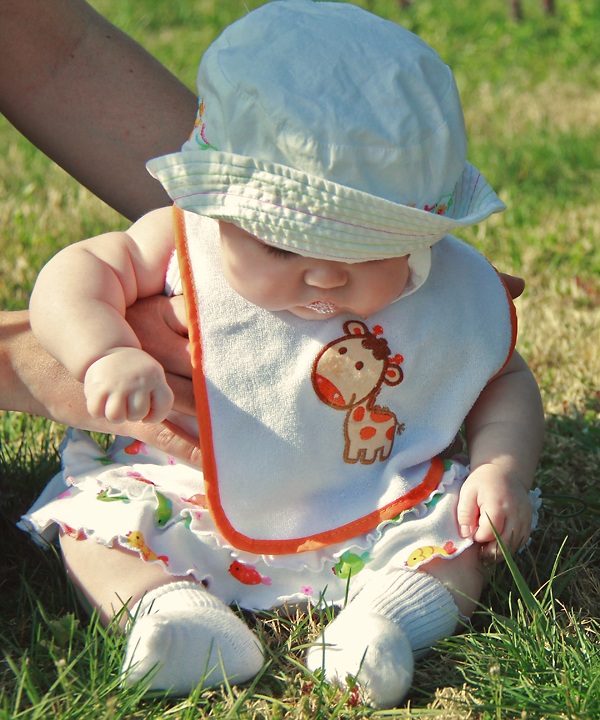 After eating, Bug was starting to get a bit fussy as usual so we started walking back towards the car. Rather than go back the exact way we came, we took another paved path that allowed us to cross from Kentucky into Virginia. Dinah thought that it would be great to take a nap, or at least lay down in two states at once so we obliged her request and let her do just that before making our way back to the car. It was a jam packed weekend for us all and definitely a big test for us and the Bug. We've since had her at two other track meets and so far she's getting better with being outside, especially since the weather has warmed. She even got to discover grass for the first time and loved it. Stay tuned for future posts as we continue on this exciting and yet sometimes trying adventure of raising another kiddie.